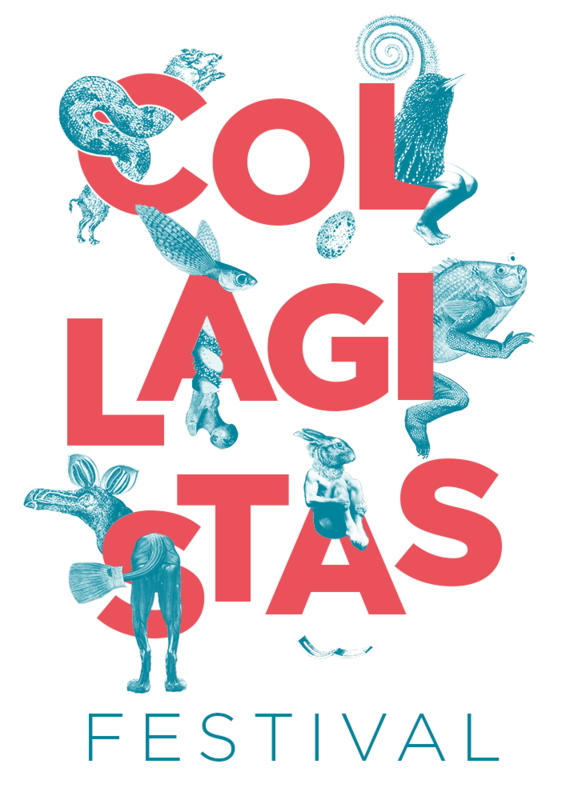 COLLAGISTAS FESTIVAL is a celebration of collage art in all its glory. It's an event organized by artists for artists from different countries, different cultures with different collage techniques. This event started in 2014 in Berlin by two artists who wanted to organize an annual meeting of collagistas from around the globe. One important criterion in choosing the participants was always their presence during the festival. There was no interest in organizing just another one collage exhibition. The atmosphere and the enthusiasm in Berlin were so strong that led to the 2nd edition of CF in 2015 in Thessaloniki with more participants, one music concert, and one workshop. In 2016 Collagistas traveled to Eindhoven, bigger, with more activities, installations, and workshops. 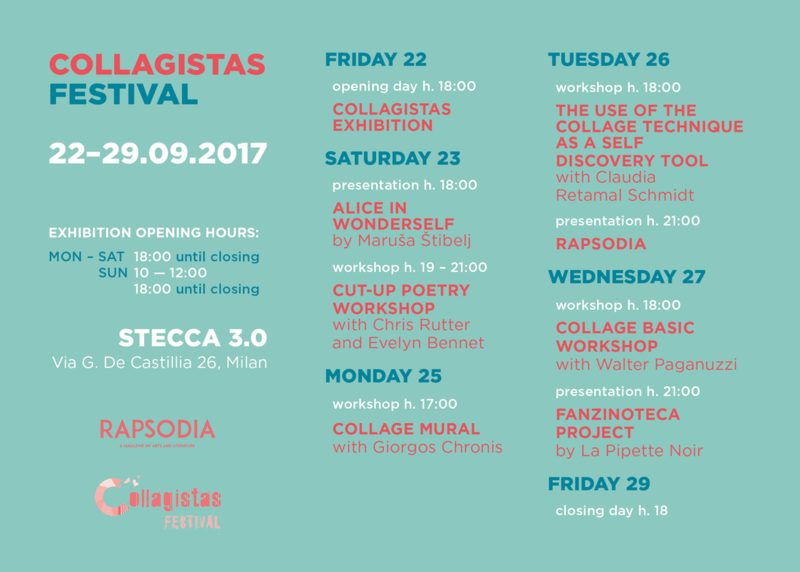 Collagistas Festival is about the works. Collage works that is! Vibrant, thrilling, exciting, fresh, and sometimes disturbing pieces of art. Remixed and shuffled to sub-reality. There is only one rule for the artists, each one of them has to participate with one new artwork never shown before on the internet or in any gallery. That's the message for the people. Get out of your house and come to meet each other!